What are some other names for a French Press? Where was the French Press invented? What happens if the ground coffee soaks too long in the French Press? A French Press is a coffee brewing device that allows the roasted and ground gourmet coffee to steep directly in the water before the grounds are separated from the brewed coffee using a plunger with a filter on the end. The plunger fits snugly into the French Press and the filter is typically either nylon mesh or metal. The hot water is poured in with the roasted, ground coffee and allowed to steep for three to five minutes. When the coffee is ready the plunger is pressed down, separating the brewed coffee from the coffee grounds which are trapped against the bottom of the French Press brewing device. French Press is the name of a coffee brewing method and also the name of the piece of coffee equipment (a coffee maker) that allows coffee grinds to soak directly in hot water. The spent grounds are then separated from the brewing coffee by pushing a mesh plunger to the bottom of the coffee pot. The French Press is widely considered as the best method for brewing premium gourmet coffee and enjoying all of its best qualities (e.g., body, aroma, acidity, aftertaste, bitterness, sweetness). Because French Press coffee is not put through a paper filter more of the coffee’s essential oils remain in the brewed coffee, providing a fuller body and a stronger flavor and aroma. To brew the coffee, first remove the mesh plunger from the French Press and place the ground coffee in the bottom of the glass container. Generally a course grind size is used in the French Press method. Next add the hot water, and then perhaps stir or shake it up a bit. Because the French Press method does not filter the coffee through a paper filter, the coffee’s volatile oils are not removed, and this helps the coffee retain its natural body. The French Press method is also the best brewing method for controlling the coffee’s temperature and brewing time. After about three to five minutes the French Press coffee will be ready. At this time you may push the mesh plunger down, forcing the water through the screen mesh to separate the extracted coffee from the coffee grounds. You’ll want to use a smooth, consistent pressing motion. Too much pressure could cause the plunging stick to bend or warp. It could also cause hot water to spill or spray out, causing bodily damage. The French Press is also called Bodum, Cafetiere, or Plunger Pot. French presses are also a fantastic way of making cold brew coffee – simply add your coffee to cool water, cover, and store in the fridge for 24 hours. When it’s done, make it just like a regular coffee, by depressing the plunger, and pour your perfectly extracted cold brew. Cold brewing with a french press is great for people with sensitive stomachs, as the long, slow extraction makes for a great low acid coffee. Bonus tip: pour the cold brewed coffee into an ice cube tray to make cold-brew ice cubes that won’t dilute your other drinks, and can be used to infuse coffee into cocktails. The French Press is also known as a coffee plunger (Australia, Africa, New Zealand), cafetiere (Ireland, Netherlands, UK), cafetiere a piston (France), press pot, or coffee press. It is thought that the French Press was first invented in the 1850s in France. The first patent for a French Press was filed in 1929 by Attilio Calimani, and Italian designer. The design of the French Press was later improved by another Italian named Faliero Bondanini. If the hot water steeps for too long in the French Press the coffee can become very bitter due to over-extraction. 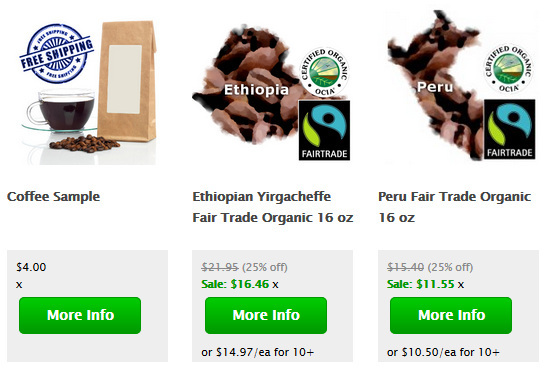 Make sure and use a fine gourmet coffee that is Arabica coffee. Also use a conical burr grinder, and grind it a bit less fine than you would for automatic drip coffee. Steep the coffee for just three minutes as steeping for much longer will extract too much bitterness from the coffee. When you drink the coffee first sip it slowly, let it coat your palate, swirl it around and allow it to aspirate in your mouth so you can enjoy its fine aromatic qualities and lingering aftertaste. To appreciate some of the finer gourmet coffees you may try some organic coffee, Fair Trade coffees, Bird Friendly coffee, and shade-grown coffee. If you are adventurous you might want to try Civet Coffee which is made from coffee beans which were already eaten and then defecated by an animal called the Asian Palm Civet. Some people call Civet coffee either poop coffee or even Bucket List coffee from the movie that brought it some notoriety. Civet coffee is usually just given a light roast, and it is very popular in Indonesia (where it is known as Kopi Luwak) and Vietnam where it is sold by the cup in coffee shops. (See Indonesian Civet Coffee and Vietnam Civet Coffee). When it comes to deciding on which of the world’s top premium coffees to try we recommend a Ethiopian Harrar Longberry, Indonesia Sumatra, or perhaps a Jamaica Blue Mountain. If you want to try a recent award winner sample some Panama Geisha. For tips on brewing the perfect cup of French Press coffee see our section on Coffee Brewing. 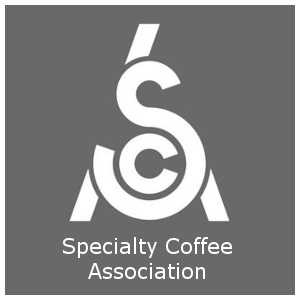 You can also read detailed coffee flavor profiles of Gourmet Coffees and instructions on preparing Espresso Drink Recipes. Running your french press under water or through a washing machine isn’t enough to completely remove the coffee oils that build up on the inside of your french press, make sure to read up on how to clean a coffee maker.